Showing results for tags 'mew'. Hi I just want to ask if this Old sea map Mew event that I genned is Legal to use online? Never thought that it will appear as legal in pkhex without TID/SID. thanks! 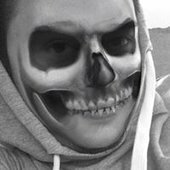 Species Mew Nickname (default, save lang) OT 게임프리크 TID 22796 Distribution Infrared Location GAME FREAK Dates Feb 27 to 28, 2016 PID Cannot Be Shiny Games All Regions 3DS: ORAS Lv. 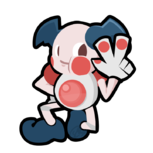 5 Nature Random Ability Synchronize (1) Item None Premier Moves (ITALIC means Relearnable) Pound (None) (None) (None) WC ID 1058: 「환상의 포켓몬 뮤」's receiving text 0x52 This is a gift from GAME FREAK! Please pick up your gift from the delivery girl in any Pokémon Center. This Mew was distributed to the players of HKTW for pre-ordering their Pokemon Sun and Pokemon Moon game. This wonder card was distributed only in English, to JP and EU units. 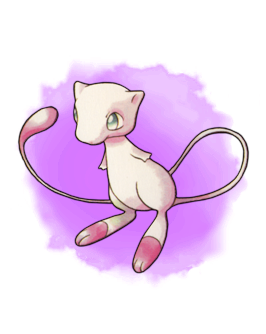 Species Mew Nickname (default, save lang) OT GF TID 22796 Distribution Serial Code Location GAME FREAK Dates Jul 16 to Dec 18, 2016 PID Cannot Be Shiny Games EU & JP 3DS: XYORAS Lv. 5 Nature Random Ability Synchronize (1) Item None Premier Moves (ITALIC means Relearnable) Pound (None) (None) (None) WC ID 175: 「Mystery Pokémon Mew」's receiving text 0x52 This is a gift from GAME FREAK! Please pick up your gift from the delivery girl in any Pokémon Center. Mystery Pokémon Mew Here we present Mew to thank for your pre-order of Pokémon Sun & Moon. Looking forward to the game release on 18th Nov,2016. I haven't found much information about Celebi Machines, even after searching through the Internet for the last couple months, but this is some of the more notable information that I have gathered: There is a (possibly modified) Super Famicom inside, which has a (also possibly modified) Super Gameboy 2 inserted in it. Inside the SGB2 is a modified Gold version(or Blue for the Mew machines). The SGB2 is connected to a modified Gameboy/Gameboy Color, which in most pictures you can see as the "IN" slot. There is a glitch relating to Pokemon in the party having mail. What I don't know: If the Super Famicom/SGB2 is modified How they are modified. How the Pokemon Gold/GBC is modified How the Celebi is distributed. I have heard that it is automatic, but that might be untrue. These are merely my findings on this topic. I would love to hear everyone else's finds into this, whether it is false or true. Distribution Title El Pokémon singular Mew Wondercard ID 557 PID Cannot Be Shiny Games XYORAS Type Serial Code Dates January 27 to Aug 31 '16 (US) Jun 30 '16 (EU) Species Mew Nickname (default) Gender Genderless Level 100 Nature Random Ability Synchronize (1) OT GF TID 2016 Location a lovely place Ribbon Classic , Ball Cherish Ball Held Item None Moves Pound (None) (None) (None) Relearn Moves Pound (None) (None) (None) Receiving Text 0x2B Thank you for playing Pokémon! Please pick up your gift from the delivery girl in any Pokémon Center. Distribution Text ¡Aquí tienes al Pokémon singular Mew para celebrar los veinte años de Pokémon! 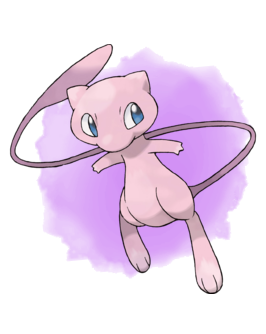 Distribuido en su día en Pokémon Rojo y Pokémon Azul, Mew fue el primer Pokémon singular que se descubrió. 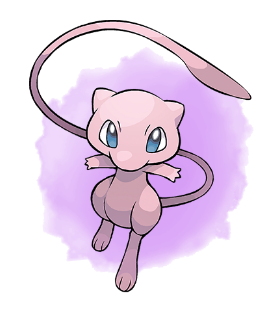 Distribution Title Mew, le Pokémon fabuleux Wondercard ID 557 PID Cannot Be Shiny Games XYORAS Type Serial Code Dates Jan 27 to Aug 31, 2016 Species Mew Nickname (default) Gender Genderless Level 100 Nature Random Ability Synchronize (1) OT GF TID 2016 Location a lovely place Ribbon Classic , Ball Cherish Ball Held Item None Moves Pound (None) (None) (None) Relearn Moves Pound (None) (None) (None) Receiving Text 0x2B Thank you for playing Pokémon! Please pick up your gift from the delivery girl in any Pokémon Center. Distribution Text Pour célébrer 20 ans de Pokémon, recevez Mew, le Pokémon fabuleux ! 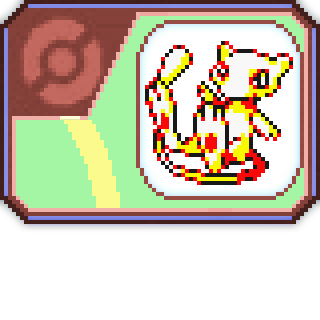 Mew est le tout premier Pokémon fabuleux jamais découvert et fut initialement distribué dans Pokémon Version Rouge et Pokémon Version Bleue.